Is it just me or other parents in Bengaluru too feel that the city offers too little to children (especially those falling in Little B’s age group i.e., 3+)? Seriously. If I want to take my child out every weekend to a non-shopping mall place, is it possible? No doubt there are museums and parks here but they are just handful. And once you visit them, then what? Back to shopping malls? 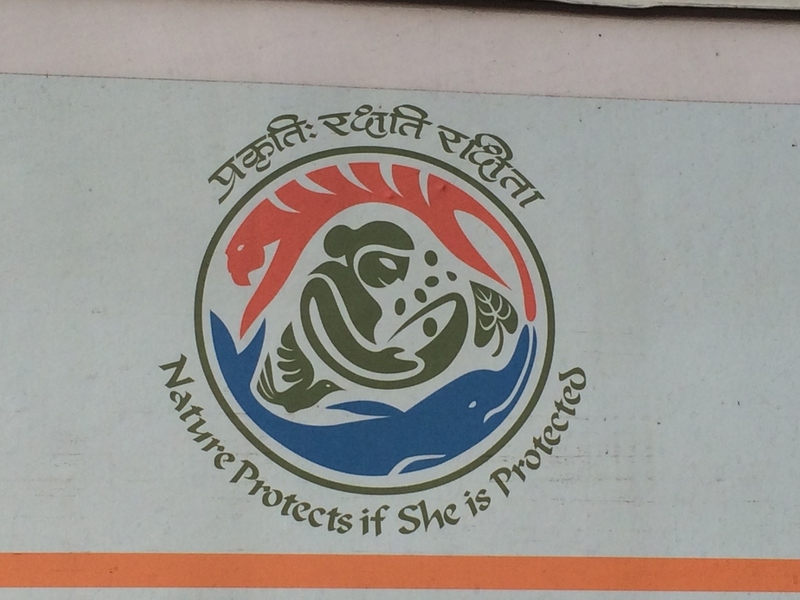 I am absolutely done with clicking Little B’s pictures while she bores herself riding on a ridiculously slow toy train. There certainly are many outdoor places outside Bengaluru but they require at least couple of hours of driving and thus visiting them regularly isn’t feasible. Therefore, I jump at every opportunity where I can do something different with my daughter. Whether it is a local community drive or visit to a how-so-ever-small farm, I am up for it. So when I found out about the Science Express exhibition parked literally right behind my house, I had to go. I would spare you the history of the train but the sum of it all is that Science Express is a museum on wheels. It has 16 coaches showcasing exhibits on a variety of environmental science facts and related specifically with the biodiversity in India. 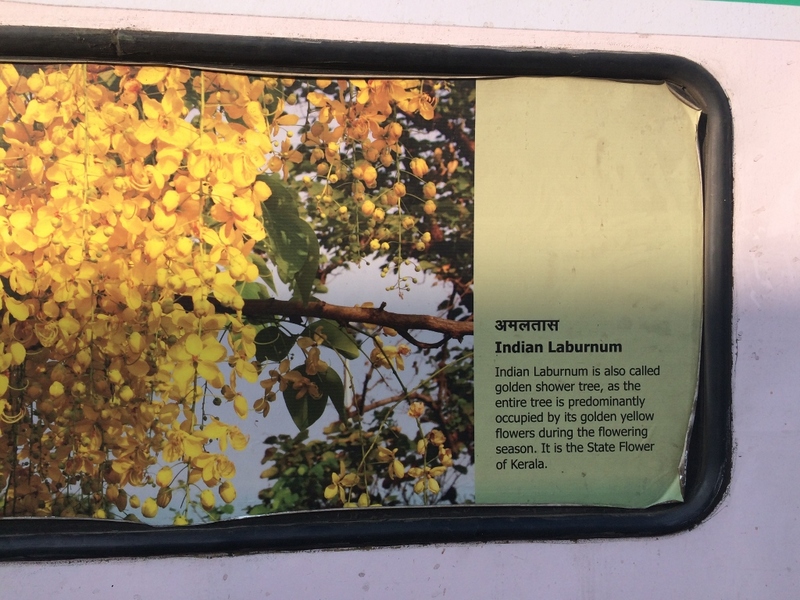 This train is not stationary; it keeps travelling all throughout India displaying exhibitions wherever it halts. Now the idea of a museum inside a train is definitely exciting. So yay for that. The exhibits were mostly just pictures and written texts without much for the children to try their hands on. 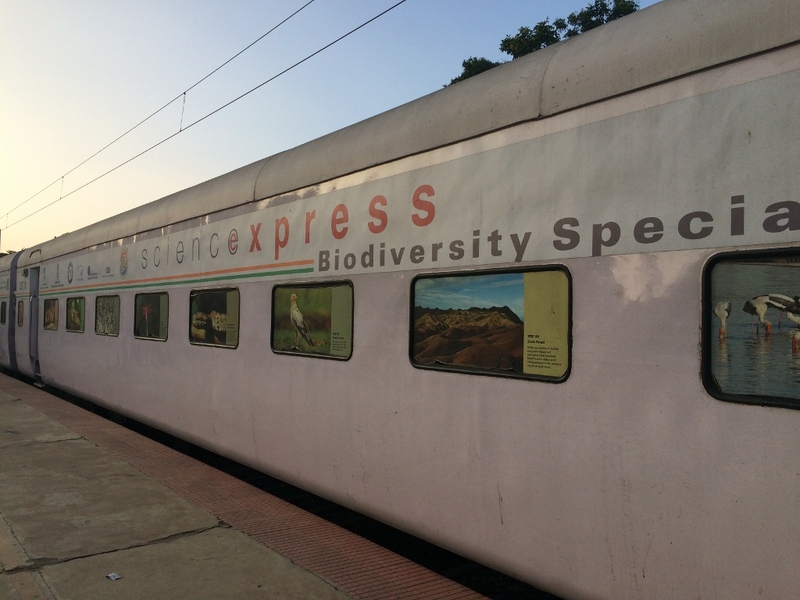 However, the train had “science experts” on board who were enthusiastic about their work. They interacted with the children and adults well and displayed grasp on the displayed environmental and scientific concepts. What’s in it for a kid? Idea of getting inside a train is enough to thrill children. Also, children might not have much to do with the information provided per se, but they will definitely love the bright pictures of a variety of animals and birds. And yes, to reach the platform one needs to take an overhead foot bridge. That’s another ride for kids, right? Older children will of course learn more. However, again, not much hands on experience for them as well. For future tour schedule for the exhibit, visit here. For more details, here. P.S. I have no pictures of the exhibit as photography inside the train isn’t permitted. P.P.S. What’s up with a guard continuously blowing whistle at every public exhibition? Whether it was the Lalbagh flower exhibition or here or any other similar place, there is always a guard deployed just to whistle non stop. Why? Probably to annoy people so much that they walk out of the exhibit as quick as possible. My tip – always carry ear buds to such places and give this ‘whistle-blower’ a royal ignore.